After a long a good comedy movie from Superstar Mammootty. 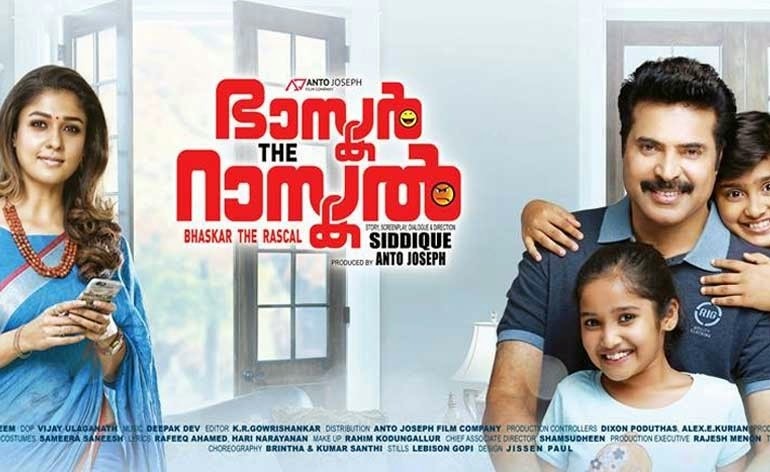 Writer-director Siddique's Bhaskar The Rascal, with Mammootty and Nayanthara in the lead, is a well-oiled, formula family entertainer. The film moves along highly predictable lines with enough masala, colourful frames and there is an effort to create comedy almost everywhere. And as it is a routine, the hero comes with idiotic sidekicks to make you laugh and sunglass wearing villains for action. Verdict: A end-to-end masala comedy entertainer.